Do you need a Date Night? ... Who better to watch your kids than a great group of moms? 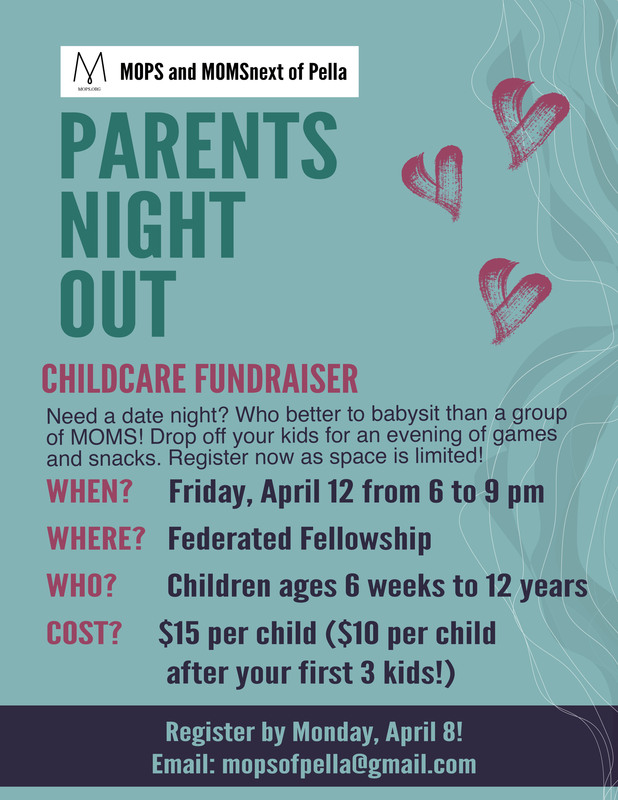 The local MOPS/MOMS next group is hosting a fundraiser event on Friday, April 12th from 6 p.m. to 9 p.m. at Federated Fellowship. We will provide a fun evening with games and snacks for your little ones (ages 6 weeks to 12 years) while you enjoy some alone time. Cost will be $15 per child ($10 per child after your first 3 kids!). Email: mopsofpella@gmail.com by Monday, April 8 to sign up!